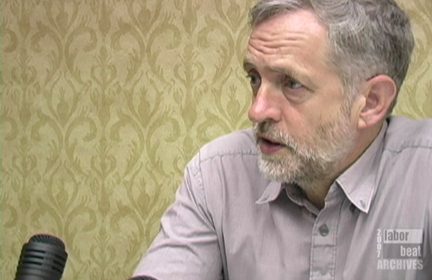 In 2007 Labor Beat interviews Jeremy Corbyn (Member of Parliament from Islington North) who discusses Tony Blair’s role in dragging the UK into the Iraq War. Also Hashmeya Muhsin Hussein, President of Iraqi Electrical Utility Workers Union, talks about resistance to occupation. Corbyn is of late in the news as the likely next leader of the Labour Party in UK.